Lucy is hired by Jack Benny to be his confidential secretary to write up his autobiography entitled "Women in My Life, By Jack Benny". 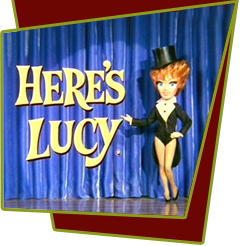 As he discusses the important and significant events throughout his life including the women he has known over the years, a series of flashbacks shows us scenes from his life, with Lucy playing all the parts. Other events include him as a child practicing violin to being in the Navy to shows with Mary Livingston. In a cameo appearance, George Burns comes for a visit in the end inviting Jack out for a night in the town with his two lady friends. Special Notes: This is one of the best and most elaborate shows of the entire series. Lucy and Jack Benny actually met before in 1968 in the second episode of Here's Lucy, "Lucy Visits Jack Benny," where the family rents rooms from him during a visit to Palm Springs.